The concept of vaping is not always understood but this will help. Always remember, resistance is a measure of the opposing force against current. With thicker wires the current has an easier time flowing so the resistance is lower. With dual coil, the current has two paths to flow through so it also lowers the resistance. With two 1-ohm coils in parallel, the atomizer will have a resistance of .5 ohms which is 4 times more wire than a 1-ohm single-coil build using the same wire and gauge. To be considered parallel, each coil has to have one end connected to the positive post with the other end connected to ground. Vaporizers and eCigs are very different. The original eCigs were made to look like cigarettes. These little eCigs were easily recognized because they look like real tobacco cigarettes. They consist of 2 parts: the battery and the cartomizer. The cartomizer is actually a cartridge and atomizer in one. Cartridges hold the flavor and nicotine, and the atomizer vaporizes it. Cartridges have to be replaced but the battery can be recharged. Some brands offer this in a one-piece disposable unit. They are measured in puffs or “drags” and 10 is the average number of drags per tobacco cigarette. The average cartomizer will last approximately 300 puffs or 30 cigarettes. The battery life will only last as long as smoking 10 cigarettes. They come in various strengths. The1.8% or 10 mg eCig is comparable to a real tobacco cigarette. The good thing is you can purchase them in convenience stores, but they have limited flavors depending on the brand of eCig maker. Popular eCig types are the vape pens which consist of a battery, an atomizer, and a tank to hold the ejuice and nicotine. Vape pens usually use a standard fitting making the battery and tanks interchangeable. Atomizers for these models consist of a wick to absorb the liquid and a core to vaporize. 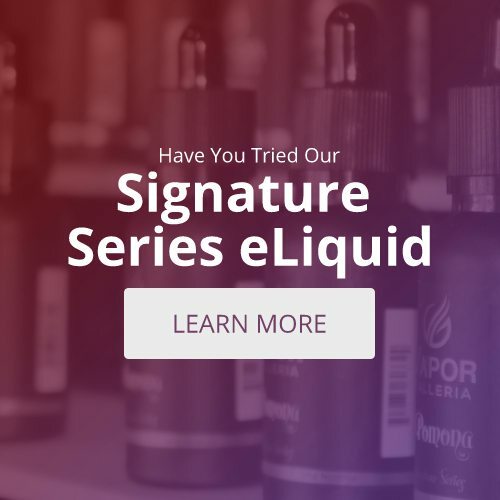 Ejuice tanks hold about 1-2 mL of ejuice and there are approximately 50 drags per mL Nicotine strengths are offered in multiples of 6 mg/mL of liquid. Atomizers require replacement after 2 or 3 weeks or when it starts to taste burned. Battery life depends on the size, but if you’re not vaping constantly, a 650 milliamp power battery can last a day or so. The great advantage of a vape pen is that it uses most brands of ejuice. Mods are a favorite among vape ‘hobbyists’. You get more vapor and the enhanced flavors. They are similar to the vape pen with 2 key differences. Batteries are a separate component and can be shared between other mods, and the atomizers can be rebuilt – the wick and coil are assembled manually. To get the vapor volume, atomizer resistance is usually lower, but because of this, it burns more ejuice and batteries drain faster. They do have larger tanks. Airflow is another factor in vapor volume. Atomizers can last 2 weeks but it’s not easy swapping them out. Tanks can use virtually any brand of ejuice. It is difficult to estimate battery life since it depends on how the mod is built.